Magna said it worked with Ford to investigate potential benefits and technical challenges of using carbon fibre-reinforced composites in chassis. Canada's Magna International Inc. has delivered a carbon fibre subframe prototype to Ford it says will reduce weight and tooling costs, and hopes to rule on mass production by year end. The new component, being tested in a Ford Fusion sedan, weighs 34 per cent less than a traditional metal subframe and replaces 45 steel parts with two molded and four metallic ones. The subframe undergirds the front quarter of the vehicle, providing a place to attach the engine and wheels. Magna's prototype, developed with Ford, explores new ground in using lightweight but pricey carbon fibre in structural parts of a vehicle. "We delivered a series of parts to the customer at the end of last year, and they've already started component testing," said Andrew Swikoski, Magna's global product line director for lightweight composites. "By the end of the year, we'll know whether the technology is ready for production or not." Carbon fibre is lightweight and strong, making it a good substitute for steel as engineers race to shave weight from cars to boost fuel economy. But carbon fibre is also costly. Swikoski said Magna's subframe not only reduces weight by more than a third, but it also cuts tooling investment by 30 to 40 per cent by reducing the number of subcomponents needed. Magna's carbon fibre composite blends multiple materials to stay affordable, Swikoski said. Validation will include crash resistance. But carbon fibre, while strong, is also brittle and does not absorb impacts as well as more ductile metal. 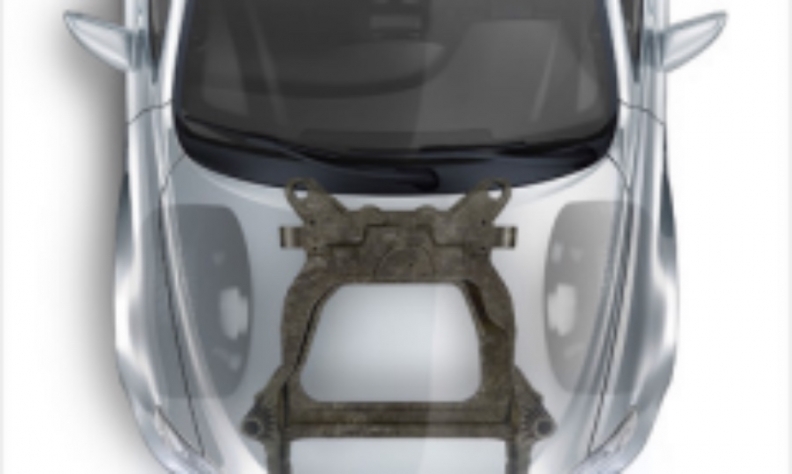 The carbon fibre subframe absorbs about five per cent of crash energy and resorts to dropping the engine below the vehicle in a collision. "It's not meant to be a primary crash absorber," Swikoski said, adding that carbon fibre will still need to be used along with high-strength steel and other metals to buffer impacts. Looking to the future, Swikoski said it would be a "logical next step" to begin developing carbon fibre materials for side doors. Carbon fibre rear liftgates are already in production, but assuring safety with carbon fibre side doors is more difficult, he said.